All Replies on Cordless Tools..
I’m with you. I have cordless drills and impact drivers in both 12V and 18V. That’s it. Everything else is corded. I will second the feeling. I always feel like the battery tools are, well, only as good as the battery. Once that dies – or is discontinued secondary to the products age… Then said tool is a paper weight! Pretty sure my corded skill saw will be kicking in 20yrs. 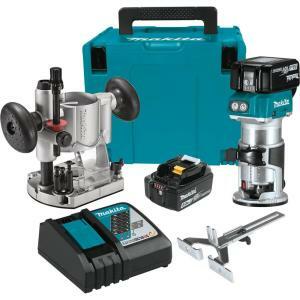 Highly doubt an outdated battery line will still be available for a Makita saw 20 yrs on. well ,i have something to add that has been weighing in on my purchases . the tech is changing so so fast that what ever you get is antique ,old school in a few years time . look at cordless drills ,milwaukee just up the program with there line-up this year[2800 series of tools] .now everyone will be playing catch-up .makita[or who ever] will then bring out some new tech that will out do milwaukee .it will be smaller more powerful etc . I wouldn’t be overly concerned about passing down your tools. When that time does come what you buy today will be outdated and old technology anyways. Your children and grandchildren will undoubtedly keep and cherish your tools and maybe even use some of them but probably will really want what is current at that time. Buy those tools that you want to use yourself today and tomorrow will take care of itself. All of my hand held power tools are corded, (3/8” & 1/2” drills, biscuit cutter, power planer, jig saws, circular saws, grinders, buffers, belt sanders, etc.). Except I do have a 18v 1/2” drill & a small 3.8v screw driver. I’ve already replaced four 18v batteries & ready to replace another 18v battery for not holding a charge. The old style battery is harder and harder to find & you don’t know how long it’s been sitting on the store shelf. That will be 5 batteries in 10 years, and my two corded drills are 20 years old, and not had to replace any cords yet. ANY BATTERY OPERATED POWER HAND TOOL, I consider a throw away or disposable tool. 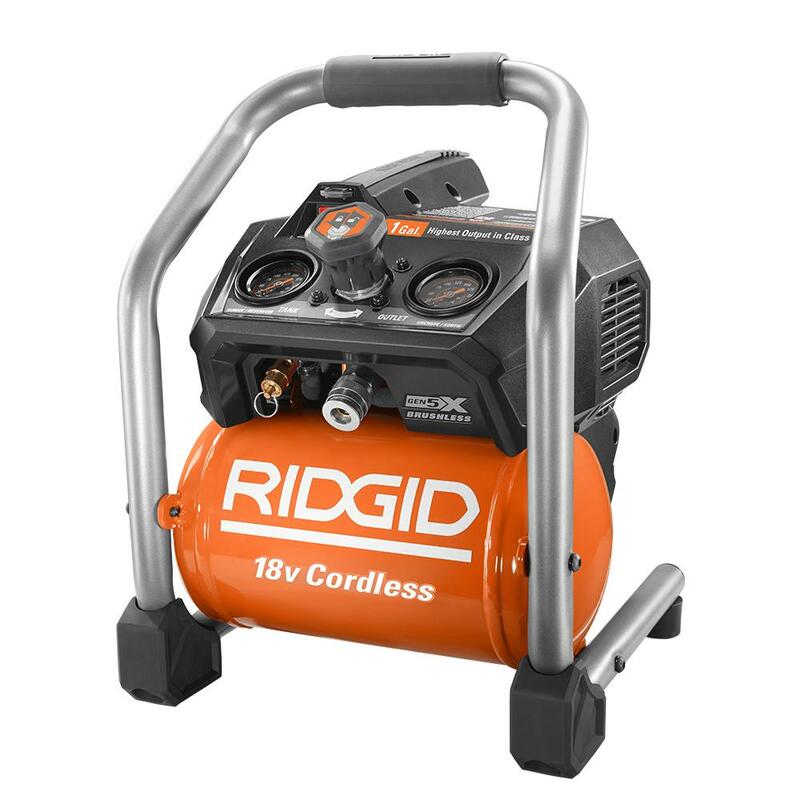 Because you have to replace the batteries every couple years, and when the brand updates or so-called improves the power tool, a different battery version is introduced, making your current tool obsolete. The only battery tool I’d buy is a 1/2” drill, for a expensive convenience. One of my friends has a slew of DeWalt battery power tools. He keeps 6 batteries charged. now all his DeWalt power tools are obsolete, since they changed to 20v. There is an adapter that supposedly lets you use 18v batteries on 20v tools, but it doesn’t seem very good. I had a Ryobi drill driver that died a couple of years ago, then I bought Dewalt. The only cordless tool I have is a drill, doubt I will go much beyond that. I purchased Ridgid X4 18v tools when they came out well over a decade ago. Lifetime warranty. 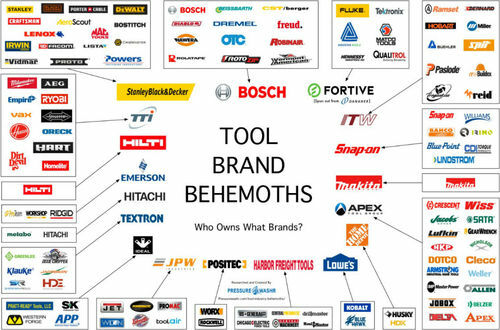 Since then, I have added many more of the same brand…a jigsaw, a nail gun, a grinder, etc. the newest are the X5 brushless models. The batteries are interchangeable. I have had zero issues and use them a fair amount. None have failed. Are they as strong as my Milwaukee corded tools from the 1990s? Nope. But they are one heck of a lot more convenient. 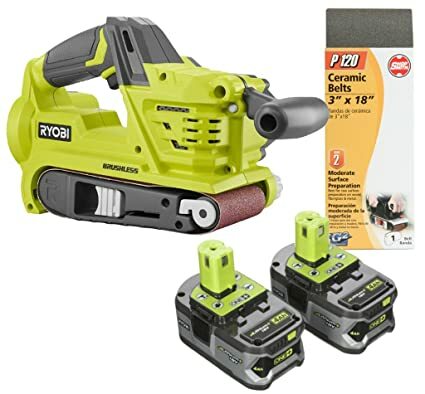 I have several Ryobi 18v. tools, mostly drills and drivers. The others are for the convenience of being cordless where AC is not handy, such as up a ladder. I have never had one of their lithium batteries give up the ghost, and I’ve got some that have to be 5 years old. But I don’t miss the nicads, and I was never impressed with the NMH batteries. I noticed their time in the sun was quite brief. I’ll chime in here with an experience of my own. I own a DEWALT 12 volt cordless drill that I bought sometime around 1995. After a little over 20 years of use, I had to buy a pair of replacement batteries from an on line source. Charged them up, and they were rarin’ to go. Because I had second home for awhile, I also bought a B & D 14 volt. (Please note that Dewalt is owned by B&D) That damned thing crapped out after about 1 1/2- 2 years of only occasional use. I have since been given a B&D 18 volt, but you have to charge it through the handle, not with a battery charger. Does ok, but runs out of juice at inconvenient times. The Dewalt is my “go-to” cordless drill, I can tell you. As long as I can still get batteries in another 20 years, I’m good to go with my Dewalt. I also have found the Ridgid brand to be the best bang for your buck. They not only warranty the tool for life, they also warranty the battery for life. The 18V drill is strong enough to break your wrist or snap a #8 screw if you don’t set the clutch. Very hard to stall the drill and the batteries charge pretty quick. They are well balanced and sit solidly on a table. I have one for the work shop and I use the other one with my sockets when I’m working on my cars. No cordless tool is going to last anywhere near long enough to be passed down. Don’t bother worrying about that. Stationary machines maybe, and good corded tools will last a long time, but nothing battery powered is going to last. Best to just accept that, buy what’s useful for you, and move on. 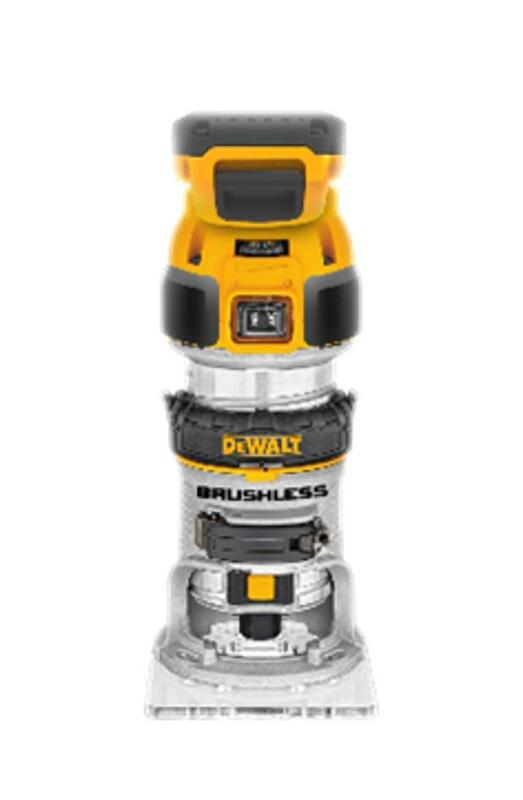 wow were have you guys been,dewalt has 60 volt tools,like a table saw that uses 2 60v batteries for 120v.sliding compound saws,we are very close to the day cords will be a thing of the past.12v tools? what are those.as far as planning to hand down your cordless tools to your kids good luck,and grand kids,you can pretty much forget that.its gonna be good boys. I wouldn t be overly concerned about passing down your tools. When that time does come what you buy today will be outdated and old technology anyways. Your children and grandchildren will undoubtedly keep and cherish your tools and maybe even use some of them but probably will really want what is current at that time. Buy those tools that you want to use yourself today and tomorrow will take care of itself. I’m glad I’m not alone.. I m glad I m not alone.. I have a few of my fathers hand power tools and while I cherish them I never use them. They are heavy and awkward compared to today’s tools. You would simply have to pay me to use them. I have a mix of battery and corded hand tools and usually reach for the battery powered ones most of the time. It is simply about speed and convenience. IF and it is a big if future generations of your lineage use any of the tools you have now on a serious basis it will most likely be tools without a cord. If you want to buy heirloom tools that won’t be just a museum curiosity Veritas and Lie Nielsen and brands of their ilk should be at the top of the list. Dewalt and Makita or even Festool and Mafell are destined to be in a box in the garage labeled “Granpa’s Tools” if they don’t end up in a landfill or bought at a garage sale by someone that exclaims “I remember when Fest became Festool”. As battery technology moves forward along with the motor technology (from brushed to brushless to outrunner brushless) the tools will change like Steve Austin they get better, stronger and faster. Since most of my tools were acquired during my contracting days, I am now on my third generation of cordless tools. Mostly I use cordless drills but I have used small battery powered circular saws as well. The biggest advancement is with the lithium batteries. It is critical in a long job that you keep one battery charged and another in use. This would tend to destroy the old NiCad batteries and then kill the tool when the expensive batteries were no longer produced. I had an old 19V Porter Cable set with dead batteries that I finally gave away! The old NiCad batteries were also very toxic and difficult to dispose of. Here’s the thing. Most cordless tools are made for contractors in the field not for wood shop use. Where are all the battery powered belt sanders and routers. I hate having a cord on a sander. It is ungainly and annoying. Also, show me a battery powered air compressor. Then I’ll be impressed. Here s the thing. Most cordless tools are made for contractors in the field not for wood shop use. Totally agree with this statement. For the longest time, cordless tools were confined to general use and mainly for contractors. That is changing, however, with better motor and battery technology. The big players are moving into specialty business, such as woodworking. All the major players now have cordless random orbit sanders and are adding more tools every year. The biggest drawback is run time. 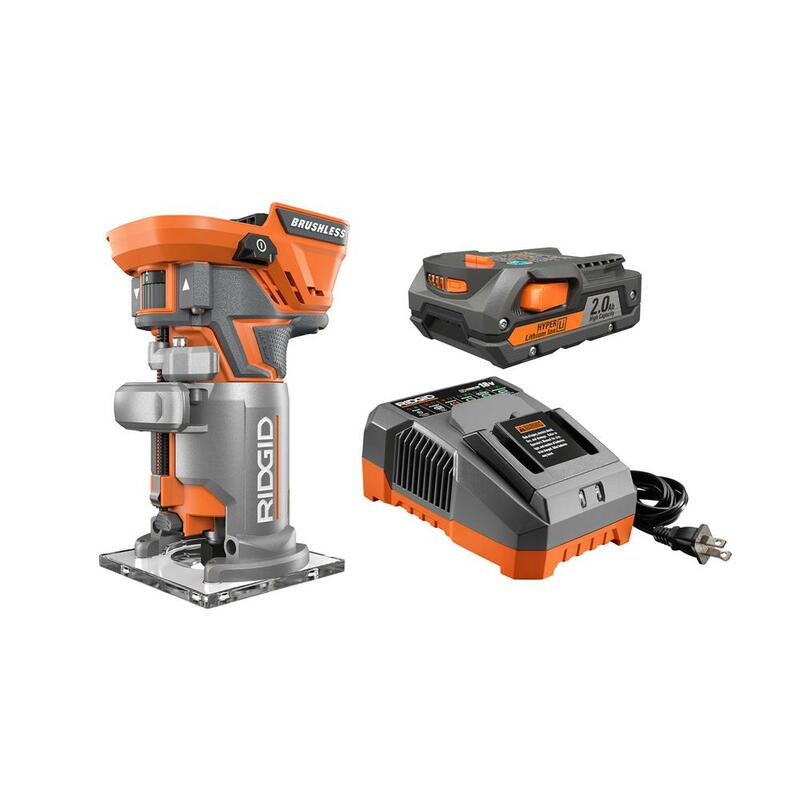 The RO sanders will only run 20-30 minutes on a charge and someone who is doing a lot of woodworking will use them longer than that. Where are all the battery powered belt sanders and routers. I hate having a cord on a sander. It is ungainly and annoying. Also, show me a battery powered air compressor. Then I ll be impressed. Tools that are hand-held are a compromise. They’re mostly not repairable in any meaningful way. Replacing the trigger or the power cord is usually the only repair available on anything hand-held that uses electricity. Stationary tools with induction motors are the tools to be concerned about passing down. Also going to point out that air-powered tools have way more longevity than electric tools and yet are still repairable. If a tool of mine has a motor it has a cord. I would much rather work with an extension cord than create a pile of expired batteries. Last time I checked, NiCad and LiIon batteries cannot yet be economically recycled. Yes recycling centers take them, but they are stock piled or recycled at a loss. If anyone has data to the contrary please share. When you think about passing down tools, think “hand tools”, hand tools are never obsolete. Just look at the number of LJ’s who use old hand planes and chisels daily. Power tools become obsolete with every advance in technology. Do you still use your Dads corded drill, router? Probably not, but you may well have and use one of his hand planes. Awesome. My Christmas list just got longer! The one possible exception is my old Porter Cable belt sander that I bought on EBAY and re-built. Some of those old steel and aluminum cased tools are fun to have around but they are so heavy that they wear you out to use them all day. Interesting fact…the DeWalt “20V” actually aren’t. If you take apart a battery pack you’ll see 5 3.6V batteries..its just a marketing ploy to get you to buy the next tool lineup. Dirty pool, essentially. DeWalt is indeed owned by StanleyBlack&Decker, and it a lower tier of quality. I would recommend TTI (Milwaukee) or Makita, to be honest. Here is a helpful chart for brand association. For example, what s NEXT for Dewalt? They had the 18v, now the 20volt and even the flex series. Excuse my electrical ignorance but is 22volt lurking around the dam corner? Back to the OP. Current cordless tools all work in multiples of 3.6V, as that is the current supplied by each of the individual lithium ion cells in a battery pack. Gang five cells in series and you get 18V (3.6×5). 20V is just marketing—it still uses five cells, so is really a 18V tool. The way they get away with it is that fresh off the charger, each of those cells will briefly produce 4V. That drops to the nominal 18V working current almost immediately, however. 20V sure sounds more impressive than 18V though, doesn’t it? Interesting part is that they can only get away with that kind of marketing in the US. In Europe the identical tools are marked 18V, due to how laws are written. If you gang six lithium cells together, you would have a 21.6V tool, which Lowes markets as 24V in their Kobalt line using the same fuzzy, but legal, math as Dewalt does with their 20V line. Expand that out to the FlexVolt and they are actually running at 54 volts (15 cells at 3.6V each). Same hype for “12V” tools—they are all using three cells, so actually run at 10.8V. For years there were voltage wars. When Makita made the first big splash with cordless in the 80’s, those were 9.6V tools. (NiCad cells are 1.2V each, so eight cells in the battery) Then came 12V, 14.4V and finally 18V, each outperforming the previous due to the increased power. Dewalt tried some 24V NiCad, but they were just too heavy for the minimal performance gain and flopped. Things stabilized around 18V as the best combination of price and weight vs performance for heavy use tools. The performance gains since have been in motor and battery technology. Additional voltage has some benefits, most of which can also be realized by reworking the 18V batteries to supply more amperage. 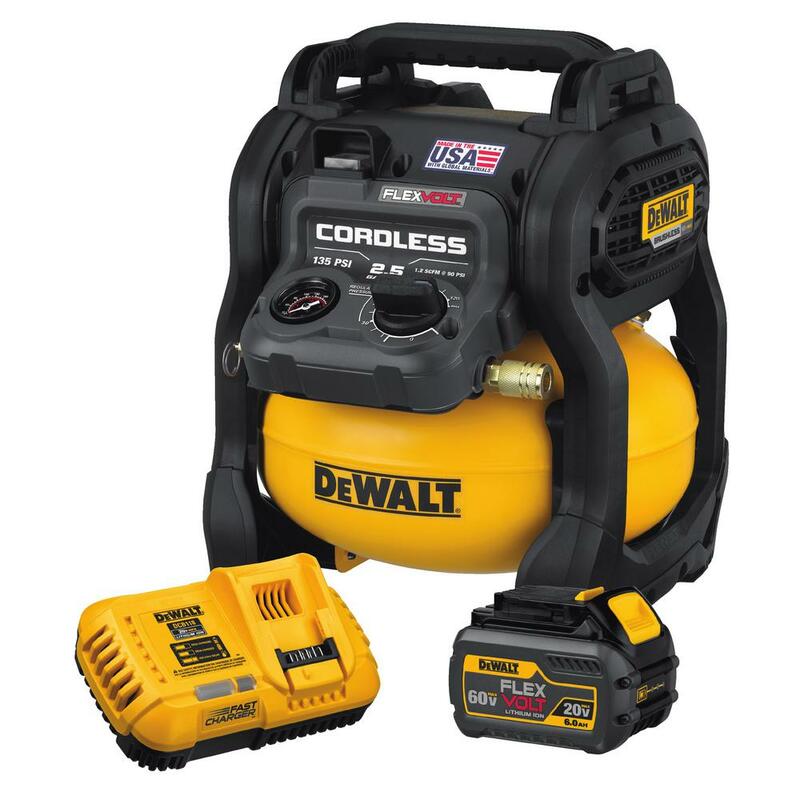 DeWalt is taking the first path with FlexVolt, while Milwaukee is following the second with their new High Output batteries. Time will tell which is more successful, though higher voltage does seem to be gaining traction. Makita has the X2 series, which actually predates Flexvolt and uses two 18V batteries in series, while Metabo is also coming out with higher voltage tools. That is all based on currently available battery technology. There are rumors of some really cool stuff being work on in the labs, but not ready for actual testing, yet. Who knows what technological breakthrough might disrupt the whole industry in the future? I plan on handing down my Makita tools to the kids… battery packs are cheap (less than $10) and last for years. Even corded tools keep getting lighter and more powerful with each generation. I wouldn’t count on them being heirlooms. In general, I try to only go cordless when there’s a reason to, like things that are regularly going up ladders or into awkward spaces. As for battery obsolescence, tool makers do not make batteries. The cases may be proprietary, but the cells inside are off the shelf. They will be rebuildable pretty much forever. I have one of the earliest Makita cordless drills that has the 9.6 V battery. The drill is more than 30 years old , still works and the batteries are still readily available. Even if the batteries are discontinued, there will always be after market sources for older batteries. I would stay away from any cordless tool that has solid state control. Keep it simple. I would stay away from any cordless tool that has solid state control. Keep it simple. No solid state basically means no lithium batteries so, in general, no new cordless tools. I have had a Makita corded 7 1/4” circular saw for almost 40 years. I keep expecting for it to die but it just keeps on going. That is with pretty frequent use now and I used it when I was a contractor every day. It is truly bullet proof. I will definitely but another one when it is time. The tools that use my 18v battery are no longer produced, and no adapter is available for this brand. You could get the batteries for $49 for a pair, Now they’re $49 each, if they have them, and how long have they been on the shelf. The life shortens when they’re stored-not charged. I have a lawn mower that uses a 40v battery. the battery dies after 5 minutes now. And they no longer manufacture this 40v battery. My only choice is to have Interstate Battery rebuild them at $49 each. 20V is just marketing—it still uses five cells, so is really a 18V tool. The way they get away with it is that fresh off the charger, each of those cells will briefly produce 4V. That drops to the nominal 18V working current almost immediately, however. 20V sure sounds more impressive than 18V though, doesn t it? For years there were voltage wars. When Makita made the first big splash with cordless in the 80 s, those were 9.6V tools. (NiCad cells are 1.2V each, so eight cells in the battery) Then came 12V, 14.4V and finally 18V, each outperforming the previous due to the increased power. Dewalt tried some 24V NiCad, but they were just too heavy for the minimal performance gain and flopped. Things stabilized around 18V as the best combination of price and weight vs performance for heavy use tools. The performance gains since have been in motor and battery technology. Exactly the answer I was looking for, Jay!!! I would wait a year or 2 before buying any new cordless tools. If we start making tools again here in the U.S. the Chinese made tools may go out of existence and new technology may replace it. I wouldn’t expect U.S. made tools to be copies of Chinese junk. I go cordless whenever there’s an option. I’ve invested in the DeWalt line and love their stuff. I can’t imagine a corded version of any of my cordless tools being any better. If I have to replace it in 5 years, so be it. I would wait a year or 2 before buying any new cordless tools. If we start making tools again here in the U.S. the Chinese made tools may go out of existence and new technology may replace it. I wouldn t expect U.S. made tools to be copies of Chinese junk. I might have thought that to be possible a year or two ago, however, not so much at the moment. What makes you think it would come back to the US in such large numbers? Or is this thread taking a turn down Political Avenue, where we should likely avoid? No one has mentioned politics but you. That’s stating the obvious, however, the word need not be literally spelled out to question such. I’m fine either way, I have this really cool ability to agree to disagree and get on with my life. Anyways, I simply can’t imagine how there would suddenly be this massive influx of cordless tool manufacturing in the US within the next 2 years without it requiring some political sway. Besides cords and switches, (most) AC tools also have brushes that require occasional replacing. But interestingly, a few cordless tools are now available with brushless motors. Hysterical, so theoretically they could run forever, or until they stop making that battery, at which time you can choose to be fleeced by Interstate to custom fabricate a battery so you can continue using a tool which is most likely obsolete, or is at the very least Not Super Cool any longer. No fear, 24 Volt is here!! I have a Makita 9.? volt that I absolutely loved. It was my first cordless drill. It will also be my last. I can get the two batteries rebuilt for what a new cordless will cost me, but in 5 years I will have the same problem. I bought a new Milwaukee and 100’ of extension cord. Maybe this isn’t the best solution but I did without cordless for most of my life. Recently I bought a relative the Dewalt drill/driver set on sale. Then you could pick out a cordless other tool as part of the promotion. I chose the cordless circular saw. Now… I wouldn’t want it for my main saw but it sure is nice not to have to get the cords out and plug it in just to rough cut up a sheet of plywood in the driveway. Recently I bought a relative the Dewalt drill/driver set on sale. Then you could pick out a cordless other tool as part of the promotion. I chose the cordless circular saw. Now… I wouldn t want it for my main saw but it sure is nice not to have to get the cords out and plug it in just to rough cut up a sheet of plywood in the driveway. Amazing little unit as I have the 6 1/2” version and I also find it incredibly convenient. Another handy unit is the small cordless handheld vacuum. Got myself a dedicated oversized battery for that sucker and it is the first thing I reach for. I think the thing to remember is that some jobs are better cordless and some require the power of an AC motor. I have used older cordless circular saws but I need more power. My 40 year old Makita “Blue Skillsaw” is bullet proof and has served me very well. The old Porter Cable and De-wallet saws are pretty good too. I will never buy power tools from; Black and Decker, Ryobi, Craftsman, or Hitachi. The Hitachi thing is a new prejudice. I recently acquired a 12” Hitachi compound miter saw and it is a piece of steaming goo. It is a replacement for an old Porter Cable that I broke. The point after all of this rambling is that I think I will need to include a line item in my yearly budget for small power tool replacement going forward. The days of buying a tool that will last your lifetime are gone. Brushless motors last far longer than their brushed cousins and the next evolution is outrunner brushless motors that have even more positives. Brushless DC sanders are now beginning to push out pneumatic sanders in a lot of commercial and industrial settings, even though they don’t last as long between overhauls the cost to run them is exponentially less than compressing air. I have brushless ROS from Festool, Mirka, and Surfprep and the Surfprep ones I prefer to my old Dynabrades which is a HUGE compliment and they are fully rebuildable.